GRAND RAPIDS, MI - The death certificate for John Dahlinger, the man killed last week in his girlfriend's Northeast Side apartment, shows he died of a gunshot wound to the head. 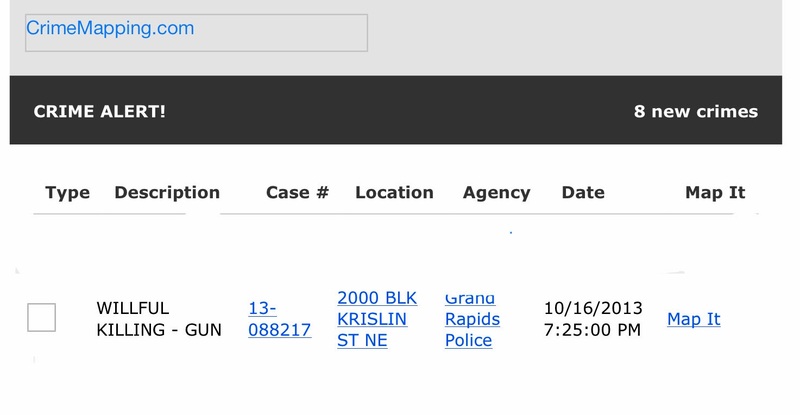 Dahlinger's longtime girlfriend discovered him dead about 6:45 p.m. Oct. 16 in her unit in the 2000 block of Krislin St. NE, police said. Police last week said Dahlinger died of blunt force trauma and other injuries. The death certificate lists only a gunshot wound as the cause of death and it says he was assaulted by an unknown assailant. Kent County Medical Examiner Stephen Cohle said a bullet was likely a contributing cause of Dahlinger's death. He said Dahlinger also was beaten with an unknown object multiple times in the head and facial area, causing lacerations and brain trauma. Cohle said he did not find a bullet, however. 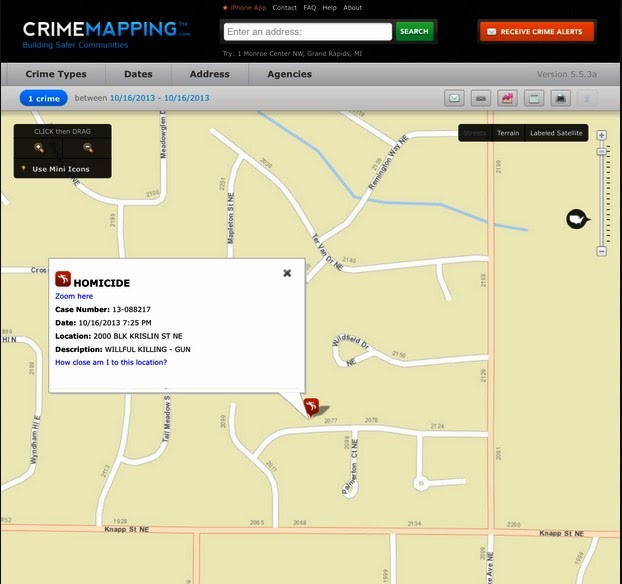 Crimemapping knew this was a gun incident early on...question is...where is the bullet? did the shooting come first or the beating?